Dorama World: Yonekura Ryoko & Fujiki Naohito reunite for first time in 12 years through "Doctor X ~ Gekkai Daimon Michiko"
My reviews on Japanese dramas, movies & music as well as anything to do with J-ent. From the ML to the forum and now to the blog version, here's hoping that this space will be a trusted source of information for all J-ent fanatics and a platform where we can come together and share our thoughts. © 2006-2018 Chiaki. All rights reserved. Yonekura Ryoko & Fujiki Naohito reunite for first time in 12 years through "Doctor X ~ Gekkai Daimon Michiko"
Yonekura Ryoko and Fujiki Naohito will be working together for the first time in 12 years through the TV Asahi autumn 2013 drama "Doctor X ~ Gekkai Daimon Michiko" which will begin its run from October at 9pm on Thursdays. The two of hem last appeared together in the FujiTV drama "Love Revolution" back in 2001. Yonekura will play the role of freelance surgeon Daimon Michiko in this sequel to last year's drama series while Fujiki will play Kondo Shinobu, a new surgeon who works at Teito Medical University's Affiliated Hospital where Daimon starts work at. Although Kondo seems to be interested in Daimon, it is unclear if he is going to be her ally or enemy. Fujiki commented that he is excited to take part in this drama and hinted at the possibility of romance between Daimon and Kondo. 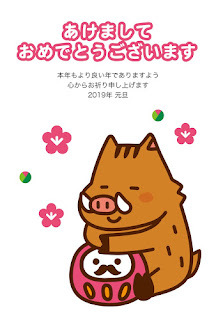 明けましておめでとうございます！And the 2019 Fukubukuro giveaway begins! First-day screening of movie "Shazai no Ousama"
Completion screening event of WOWOW drama "LINK"
Preview of "Danda Rin - Roudou Kijun Kantokukan"
Maeda Atsuko & Onoue Matsuya reportedly dating? First-day screening of movie "Kyoaku"
Screening of NHK drama SP "Hajimari no Uta"
Completion screening of movie "Kiyoku Yawaku"
Preview of "Garasu no Ie"
Completion screening of movie "Kyoaku"
Japan premiere of new movie "Yurusarezaru Mono"
First-day-screening of movie "Natsu no Owari"